Expanding a business to another country is always a challenge due to the culture gap and language barrier, and the US can be even more complicated. When a company wants to enter a new market, the best approach is to start with research into their target audience – who are the best people to approach, what industries, what are their titles, etc. You’ll want to create a list of companies and then target the right person in each company. We call this person a “lead”. While this process seems simple and straightforward, I have personally seen many companies who have failed because their approach and process did not take into account the culture gap. As CEO of DRolls Associates, I have worked with companies from many different industries over the past 13 years, providing them with a lead generation method that is proven and works. 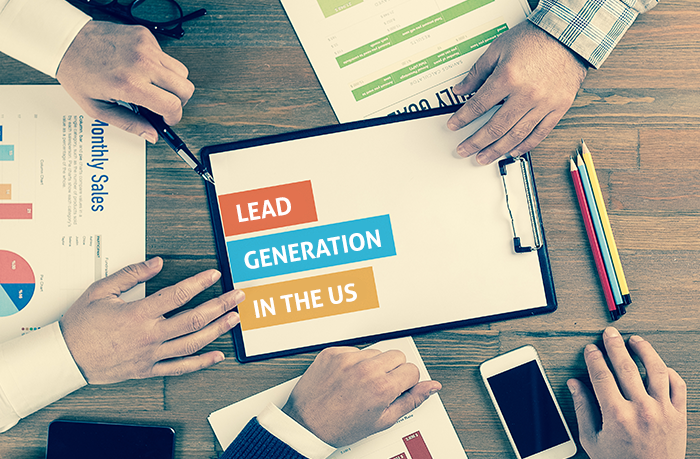 Lead generation is a marketing or sales term that refers to the generation (or creation) of prospects that are within your target audience, relevant to your business’ products and services, and interested in hearing more about what you can offer them. 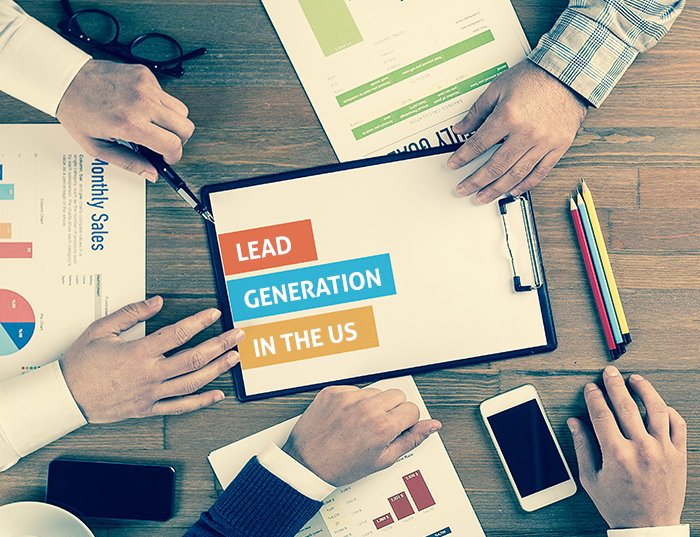 There are two types of leads you will generate: Inbound Leads and Outbound Leads. An inbound lead is one where the prospect/lead seeks you out as a result of appealing content online. So, if you create an ad on LinkedIn that sends traffic to your landing page, and people who visit your landing page fill out a form with their contact information, they are inbound leads. An outbound lead is created when you actively seek the lead out, for instance through cold calling or cold email outreach. Most companies opt for a multi-model approach to lead generation, combining several strategies and channels in order to reach their target audience. The most effective methods are usually events, telemarketing, and a strong landing page campaign. The most hyped methods, such as social media, tend to be less effective when measuring ROI on your cost per qualified lead. When it comes to successful lead generation, it all starts with high-quality in-depth research. What is the location of your target audience? Is there a specific state or area in the US that are you targeting? What industries are your target companies in? What titles should you be targeting? Who is the decision maker? What is the size in number of employees and/or annual revenue of your target companies? What other criteria is important to specify concerning your target audience? For example: companies that use a certain software, or companies that sell a specific type of product, or companies that sell their products/services to a specific audience (e.g. sell to municipalities, schools, hospitals, etc.). Create a list of leads based on this research and divide them into groups based on their priority. Reach out via other channels as well. At DRolls Associates, our Smart Calling method is a combination of precise research, cold calling, emailing, and LinkedIn outreach. Analyze results! As with any lead generation campaign, once you start, you must constantly analyze results to see how you can optimize the process for even better results. This can be updating the scripts or marketing material, or even targeting a different title altogether. In any lead generation method, you can obtain important insights into your target audience and market, but with the Smart Calling method, you get very specific information directly from your audience that could never be obtained otherwise. It is important to view this process as a way to enter a new market, increase sales, and grow your business, but also to learn more about your market in the process in order to create better campaigns, and even better products/services in the future. At DRolls Associates, we use the Smart Calling process to reach out to a target audience on behalf of our clients, and schedule qualified meetings with the decision makers in the companies they are targeting. Reading about the companies and leads in your target audience to see if there are recent news items, PR, articles, etc. that you can mention in calls. All of this is part of our smart calling process, and is crucial to have ready before starting the calls, emails, and LinkedIn outreach. Always respect the assistant. If you want to schedule a meeting with the CEO of a company, it is likely you will go through the CEO’s executive assistant, which we call the gate keeper. Always be polite and courteous, and remember that this person is just as important as the CEO. There is a right and wrong time to call in terms of days and hours. It depends on your target audience and the specific location in the US. When we start this process, there is usually a learning curve to learn which times are best to call. Of course never call over the weekends and holidays, and always check if there is a US holiday before calling, like Memorial Day or Independence Day. Smile when you call. It can be heard in your voice, and it can significantly impact the conversation. Make sure to have a native English speaker making the calls (US English). This makes communication much easier, and it makes a difference in the results when targeting the US market. If you can, use someone local with a local phone number. For example, if you are targeting companies in New York, you will want to have someone from New York with a local accent and number calling. They will have more experience with the culture and people, and it will be easier for them to get through the gatekeepers. When we assign account managers to make calls for our clients, we always choose based on who is the best fit for the client’s industry and target location in order to get the best results. This allowed us to create a personalized and customized approach. Not only were we able to find the right leads for us, we were able to speak to them in a way that felt more natural and comfortable, and convinced them to want to learn more. While this is not always possible, it should be done as often as possible, and always with your high priority leads. Industry events such as trade shows, conferences, and networking get-togethers are a powerful tool for lead generation. This is where you can have engaging face-to-face conversations with people who have a clear interest in the industry. Before: Before the event, we prepare the database, research the event, check what scheduling tools we have available to us (e.g. LinkedIn groups, B2B networking platform, etc. ), and what is planned for the event itself, such as lectures, a booth, etc. We then schedule meetings before the event, so that our clients’ schedules are already filled when they arrive. During: During the event, we monitor the meetings to see which ones take place, and which ones are “no-shows” so that we can quickly call and save the meeting. Often, we provide actual support at the event itself with a local salesperson to help you with the language barrier, and to bring people to the booth. After: After the event, it is crucial to quickly follow up on all of the meetings and new leads you created so that you don’t miss any opportunities. Of course, everything should be tracked and documented in a CRM. Many companies simply attend an event without scheduling meetings beforehand, and waste a lot of money, time, and effort on events that did not bring the results they wanted. We also see many executives attend events, come back with a lot of business cards, but don’t follow up because it is not organized or they simply do not have time. Trade-shows and events have immense potential to grow your business, but only if you follow the right process before, during, and after. Recently, LinkedIn has become a significant force in effective lead generation. Millions of business professionals around the world use LinkedIn; it’s one of the largest social networks in the US. Almost all American companies and executives have a LinkedIn presence, making it an excellent way to enter the market. We find it to be most effective when combined with cold calling and emailing. In addition to the strategies listed above, it’s important to maintain a positive attitude throughout the process of lead generation. If you’re confident in your product and excited to make further connections, it won’t be hard to find leads who share your enthusiasm. For more information about DRolls Associates, or for a short consultation call, please contact me at dafnar@dafnarolls.com. Dafna is the Founder and CEO at D|Rolls Associates, a boutique Boston-based firm that provides companies around the globe with business development and appointment setting services.